Spooky music is just the thing to set the mood at a Halloween party or for welcoming the neighborhood ghosts and goblins for trick or treat. It can be found in multiple genres, from classical music to film soundtracks, and is often available to download free. Varying lengths are useful for different purposes. For example, you can use a brief snippet for sound effects, or you can use longer clips to continually play in the background. Downloading music is simple, and it's a great way to build an extensive library of music that's as accessible as your next mouse click. For free spooky music download ideas, visit some of the following sites. The Free Music Archive is the brainchild of the internet radio station WFMU and offers free and legal music downloads in numerous genres. They have especially great collections under 'Halloween,' 'spooky,' or 'creepy'. You can check out Something in the Woods by Krakatoa for fun, freaky music with a danceable beat. On the Internet Archive's Community Audio channel, an open source archive of free music, you'll find DJ Dr. Toast's Vintage Halloween Mixes. These mixes are sure to add a fun and spooky flair to any gathering with their engaging beats. From psychedellic rock to instrumental jazz pieces, Jamendo offers several pages of options to choose from. To find their great offerings you have to search by either 'Halloween' or 'spooky.' If you're looking for something specific, check out Garden of the Dead by the Grim Reapers for a cool spooky tune that will liven up any Halloween party. If you're looking for something to play continuously throughout your party, add some of these songs to your playlist to help set the mood. When you're considering what to play at a Halloween party or looking for eerie background music, classical music might not be the first genre that comes to mind. However, you can find a bounty of spooky music among classical offerings. Toccata and Fugue in D Minor, a well-known organ piece by J. S. Bach, has a wonderfully creepy ambiance and has been featured in numerous horror films. Another great piece to try is W. A. Mozart's Requiem in D Minor, which simmers with dark intensity. While you're hunting for Halloween tunes, don't forget to explore the possibilities of rock music. Heavy metal, in particular, has long been a source for great music that gives off that spooky vibe. A great resource for this type of sound is Calling all Fiends, a collaborative effort of independent musicians. Calling All Fiends offers 31 creepy musical selections divided into Cinematic Soundscapes, Rock and Dance, and Fiendish Songs. 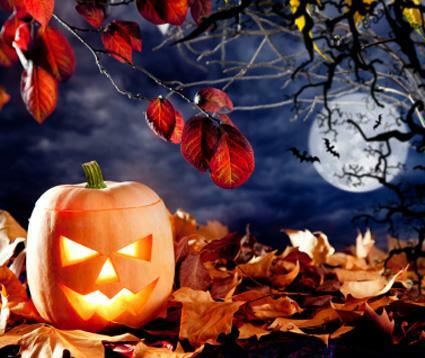 For Halloween parties, you will definitely want plenty of spooky music to set the mood. If you're planning a storytelling night for which ghost tales will be the main fare, background music would provide a haunting touch. Create a playlist based on the songs and pieces you've downloaded online for a continuous stream of appropriate music for the duration of your event.